I have never been more disgusted with any company that I have ever done business with. They didn't want anything to do with me once they cashed my cheque. It was almost impossible for me to get them to return my telephone calls. Three days after I had the $3300 asphalt driveway paved I shouldn't have to go to Canadian Tire and get patching material to fix holes. They refused to come out and take a look at my complaint. I asked for a number of quotes to replace my asphalt driveway back in May. Vince asked to come out and provide the quote in person. He provided a good quote and although it wasn't the cheapest of the places I contacted, I signed with him having reviewed the other quotes and customer reviews. I didn't hear from them for a while after they took my deposit, but then they were able to show up one day a few weeks later and removed the old driveway. About a month after that, they showed up and put in the new one - again without a lot of notice. It's been a few months since then and the driveway still looks great. I felt they could have kept me up to date a little better, but besides that I had no issues with them at all and I'm satisfied with the work. After 4 months from the date our driveway was paved it started to pot hole again. Now the reason we had to redo our driveway in the first place was the massive pot holes we had. I expected they would have grated the driveway extra carefully knowing the problem to begin with. So like I said after 4 months of settling I guess it started to pot hole. I have called, emailed the owner and sent in three requests for call backs and no response. They clearly just don't want to deal with the fact they did not do a high quality job and hope ignoring us we will go away. It's unfortunate because they do a lot of business in our area. I think every business should have a chance to rectify an issue before a report is written. I gave them a chance but they didn't seem to care, I am very disappointed. They did a great job grading making a flow for the rain, I am more than happy with that! Also when the driveway was ripped out a heavy rain came and my basement flooded, they accommodated and came within a few days to pave it, which I was very grateful for. Once the job was complete I was told wait 10 days before driving on it, I gave it 2 1/2 wks to be safe but.. obv that wasn't enough. The tires sunk in pretty bad in several areas. I left several messages about a repair and was very patient, finally 2 months later someone came. He said this was a $300 repair I needed to pay for, I was shocked!! As a consumer what did I do wrong? Should I have assumed they as professionals didn't know what they were talking about & waited a month? 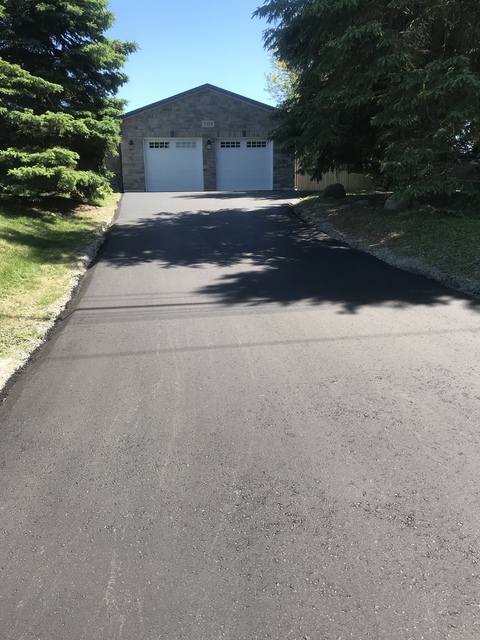 If because of the summer heat I needed to wait longer I should have been informed, I know nothing about driveways other than what they the experts had advised. I hope they will reconsider this and how they deal with future repairs. It's been 17 months since my driveway has been paved by Central Park Paving and I have two areas of concern with my driveway that started approx. 4 weeks after job was complete and have yet to be fixed. I was reluctant to use Central Park Paving because of different unfavorable reviews I read over the internet and cost of the job but after speaking with Vince I was made to feel comfortable as he was a very engaging individual and he even agreed to lower his initial quote as he claimed "you're residence is in my backyard and I don't want to see you giving business to my competition". After final payment was was made, trying to get in touch with Vince was extremely difficult to say the least. I found the office admin staff to be rude and was told repairs would be completed at the end of the 2015 season. Having no luck speaking with Vince, I decided to correspond with him via e-mail and I was assured by him the areas in question would be looked at and fixed and I had no reason not to believe him as his families company is large and reputable serving many customers a year. 2015 season concluded without a repair so I emailed him at the beginning of this season and once again was assured that the areas of concern would be fixed. But after digging deeper and reading negative reviews over the internet the undertone remains the same by many customers who have concerns and have difficulty obtaining any follow-up by Vince and his company and areas of concern going unfixed. I can appreciate that errors occur and repairs are required from time to time but 17 months is a long time and I feel I've been very diplomatic and have waited long enough. Also, the company's terms and conditions blanket so many variables that are not covered which is a way the company doesn't have to be accountable for any areas of concern. And lastly, using weather, business demand and not the correct tools as excuses after 16 months waiting for a repair isn't fair to customers who place their trust in Vince's business. I would exercise extreme caution if considering hiring Central Park Paving to do work at your home. I am very happy with their work. They did a great job grading my driveway and asphalt is thick. Vincel was available for any questions. I highly recommend this company. 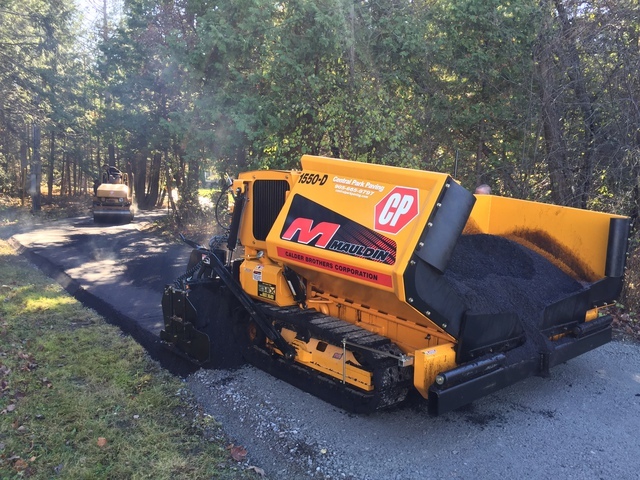 Fantastic Experience with Central Park Paving! We couldn't have picked a more professional and experienced company to extend and re-pave our driveway! The kids now have a safe, even surface to play on and the curb appeal it added to our home was invaluable! Worth every cent! Amazing company! Holy cow these guys are good! Very competitive in price, attention to detail with both jobs they did for us. Friendly staff that actually know what there doing! Highly recommend them! I dealt with both Joe & Vince the owners nice family, hard working. Central Park Paving Company Ltd has not added any photos. With over 40 years experience, we at Central Park Paving stand behind our quality, workmanship, and reliable service. We are a family owned company that works primarily in the Durham region. Central Park Paving is also a proud member of the Better Business Bureau to ensure consumer relations.